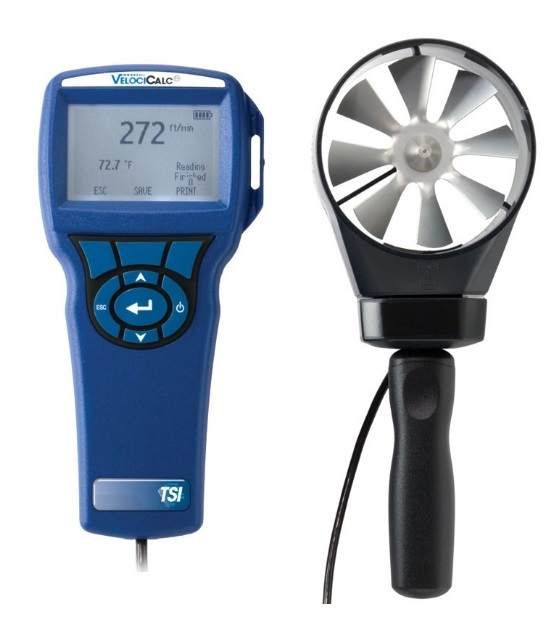 The TSI Velocicalc 5725 is a high performance, yet simple - to - use, rotating vane anemometer. 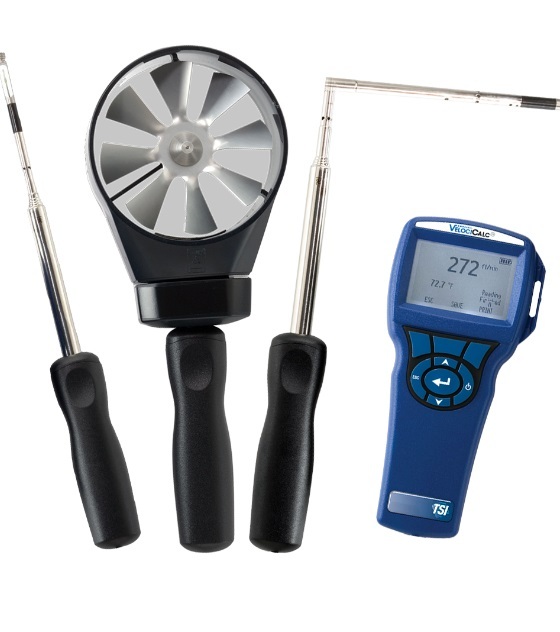 High accuracy and reliability make the VelociCalc 5725 the professional's ideal tool for measuring unevenly distributed or fluctuating flows through heating and cooling coils, diffusers, grilles, and filters. 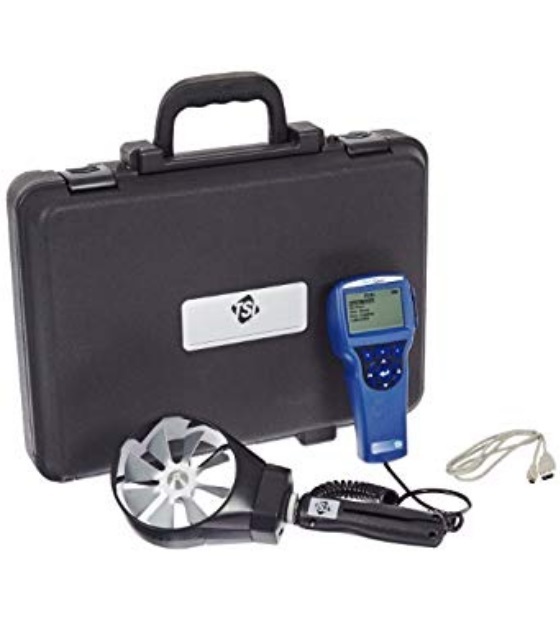 It accurately measures air velocity and temperature, calculates flow rate, performs averaging, and can determine minimum and maximum readings. Using sweep mode you can quickly provide one averaged reading of velocity or volume over a large measurement area. The large vane head automatically averages velocity and volume readings. The VelociCalc 5725 includes variable time constant, sampling and statistics functions and data logging capability.